Big dumb fun has landed, its name is BangNation! Join Taylor Edwards & Chris Martin for an explosive night of sketch comedy. A fast journey through the everyday & absurd - things are gonna get wild! Venue: The Crown and Anchor Hotel, 196 Grenfell St., Adelaide 5000, Australia. Tickets: Adult: AUD 18, Concession: AUD 15, TREv: AUD 15. Fast/Fresh/Hot/Hilarious - BangNation has landed! Join Chris Martin and Taylor Edwards, two of Brisbane's leading sketch comedians, for an explosive fast-paced journey through the everyday and the absurd. A comedy show that is the true definition of "BIG DUMB FUN" with the stage chemistry of the spaghetti scene from Lady and the Tramp, so pretty damn good! How hard could it be to run for President? Or convince your husband that you’re not a duck? BangNation has done the science in our state of the art BangLab and are ready to deliver the results with a sucker punch of fun. 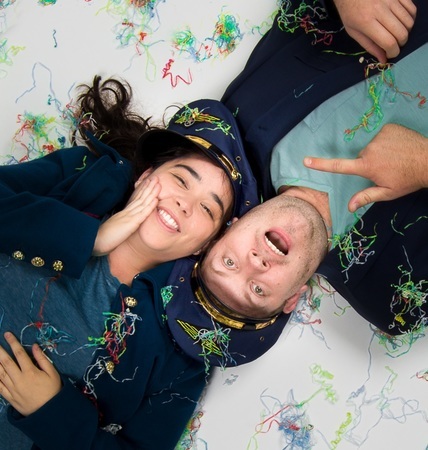 After performing in a variety of successful comedy festival shows (Melbourne International Comedy Festival 2015, Brisbane Comedy Festival 2015, Brisbane Fringe Festival 2014-15, Anywhere Theatre Festival 2014) - BangNation will be the duo's first full-length show together and their Adelaide Fringe Festival debut. Taylor and Chris are super excited to bring their fresh and fast paced style of sketch comedy to life. So get ready Adelaide for the sketch comedy adventure of a lifetime! High five! Note: All shows run 50 minutes starting at 6:00pm. Tickets online or at the door. No show Tuesday 16 Feb.
Time: 6:00 pm - 6:50 pm.